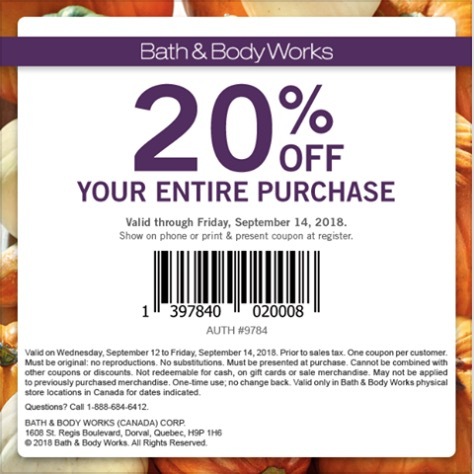 Bath & Body Works Canada has a new Coupon available now that includes: Coupon: Save 20% off your entire purchase. The Bath & Body Works Canada coupon is valid until September 14, 2018, in-stores only, on selected styles, while supplies last. Selection may vary by store location. Click here to find Bath & Body Works Canada near you.